Apple is officially set to roll out iOS 10 — its biggest iOS release ever in just a few hours, but several thousands of users had already gotten their hands on it thanks to the company’s Public Beta program. iOS 10 has several great features worth discussing, but there’s no doubt that the most talked about features are going to be iMessage Sticker Packs and iMessage Apps. 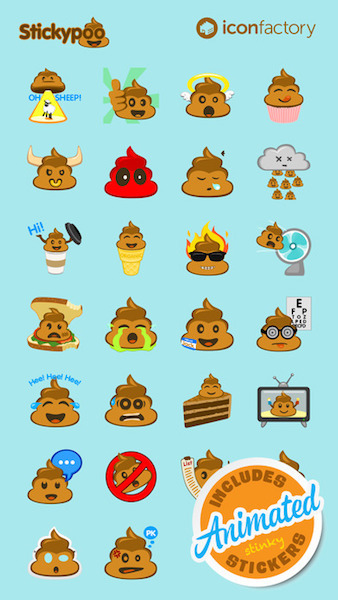 With iOS 10, the company has extended the functionality of its rather plain and boring iMessage service with the introduction of a built-in App Store where users can find, download and install iMessage Apps Sticker Packs. Here at Beautiful Pixels, we’ve been playing around with several of these over the last few days and in this post, we’re going to take a look at all our favorite iMessage Sticker Packs for iOS 10. Don’t forget to check our our Favorite iMessage Apps for iOS 10 as well. Note: We’ll be updating this post with stickers packs as they release over the next few hours, so keep checking back. The incredibly talented folks at The Iconfactory have been crafting beautiful pixels for twenty years now. 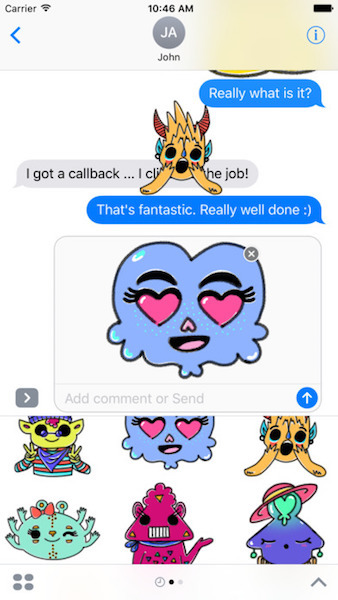 Their iOS and Mac apps are some of the most beautiful apps on the App Store, and for iOS 10, they’ve released one, two, three, eight several sticker packs for iMessage. 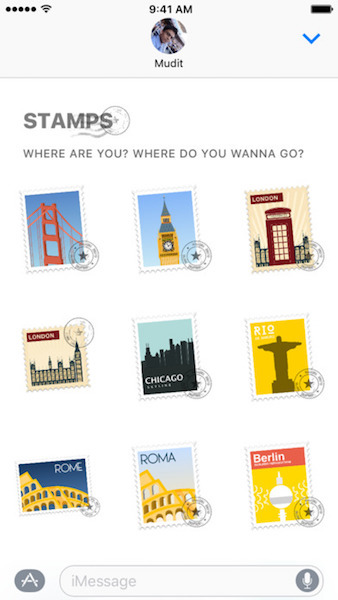 From the makers LookUp — the elegant dictionary app for iOS comes Places: Stamps and Stickers. Share your love for a city with some carefully designed Stamps or Stickers that commemorate the landmarks and iconic objects from different cities over the world. Places: Stamps and Stickers is available for $0.99 on the App Store. 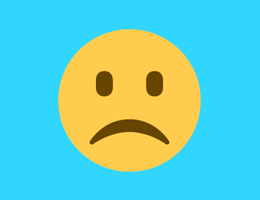 Monstermoji is a fun emoji sticker pack with over 25 cute stickers representing a whole range of emotions from happy to sad to smart. The monsters bring an extra dimension of communication to your chats. Monstermoji is available for $0.99 on the App Store. 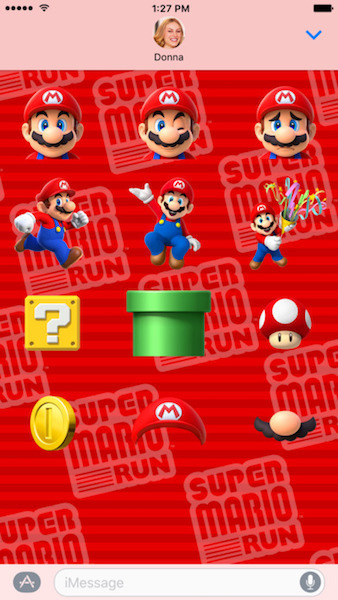 There’s still a few months before Nintendo drops Super Mario Run for iOS, but that hasn’t stopped the company from releasing these amazing Super Mario Run Sticker Pack for iOS 10. Show off your feelings with Mario’s expressions or use items to decorate your conversations to make them look like a scene from Mario’s world. By adding a cap or moustache to a photo, anyone can be Mario! Super Mario Run Stickers is available for Free on the App Store. 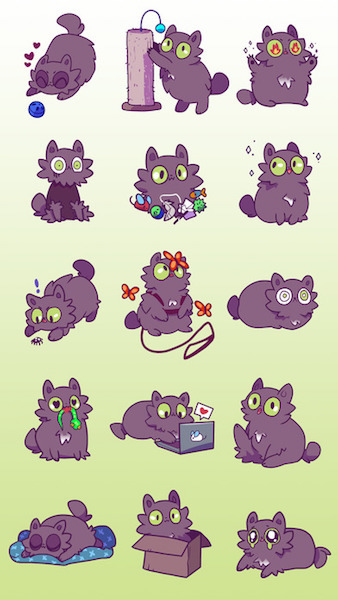 Fluffy little Pico has been turned into a iMessage sticker. Ready to chat using our bubbly Pico sticker? Bubbly Pico is available for Free on the App Store. 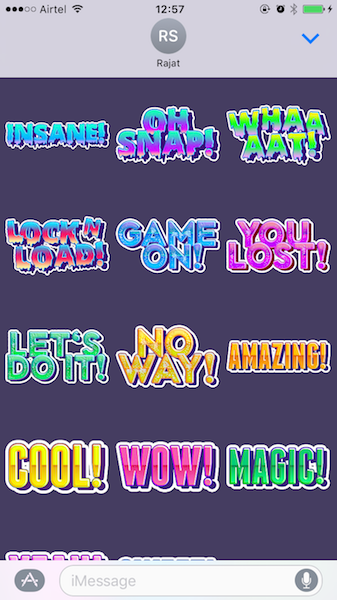 This is one of the several sticker packs from The Iconfactory, but unfortunately this was held onto by Apple and is only just making its way to the App Store. As the name suggests, this is Stickypoo. Set out for adventure with these RPG inspired stickers. Tap the ? sticker to randomly roll the 12-sided die and see what fate has dealt you! 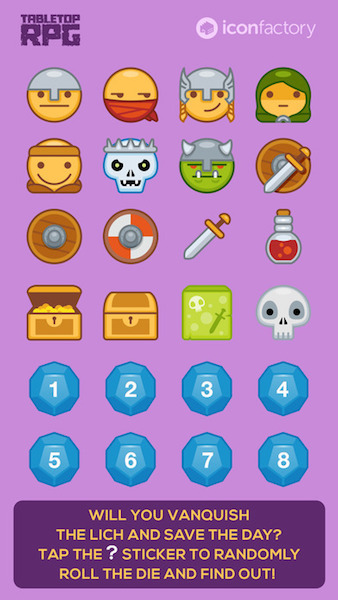 Iconfactory Tabletop RPG Stickers are available for $0.99 on the App Store. Tame the world’s scariest viruses and bacteria with this tongue-in-cheek set of stickers. Sally Salmonella and Bert Bacillus can’t wait to meet all your friends! 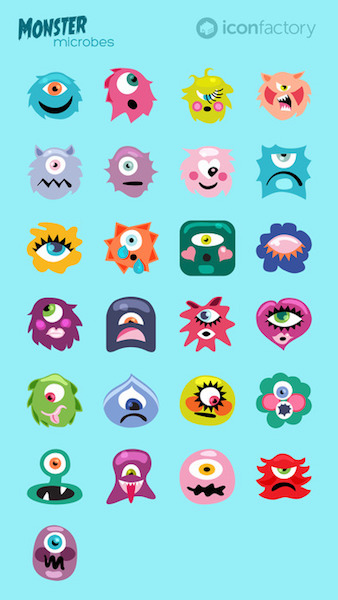 Iconfactory Monster Microbes Stickers are available for $0.99 on the App Store. Stickers from the immensely amazing game from Snowman — Alto’s Adventure. There are over 60 of them. What more do we have to say, really? Alto’s Adventure is available for $3.99 on the App Store. 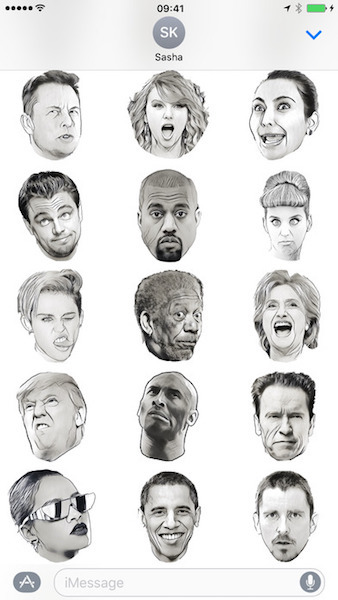 There are times when a celebrity’s facial expression does wonders to a conversation and that’s exactly what this sticker pack is for. You can grab it for $0.99 on the App Store. Meet Kelso! Kelso’s a fun and energetic Pomeranian. 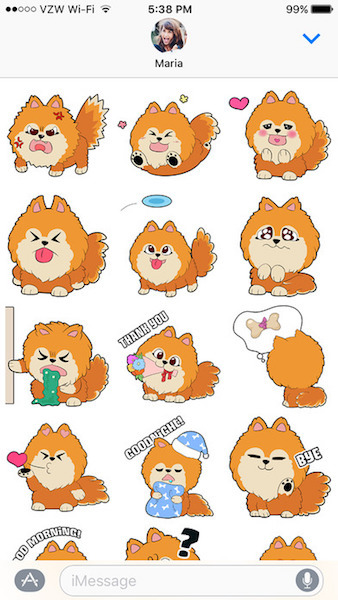 Kelso the Pomeranian – Dog Stickers is available for $0.99 on the App Store. Life is just bigger and better when you’re a dino! 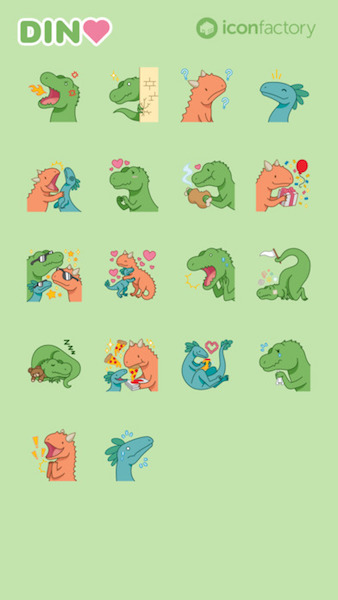 Iconfactory Dino Stickers are available for $0.99 on the App Store. Echo is Tabby’s short-tailed, green eyed snuggle muffin, and if you want, she’ll be your new friend. Echo the Cat Stickers are available for Free on the App Store. Here are some tasty treats from the folks at Parakeet. 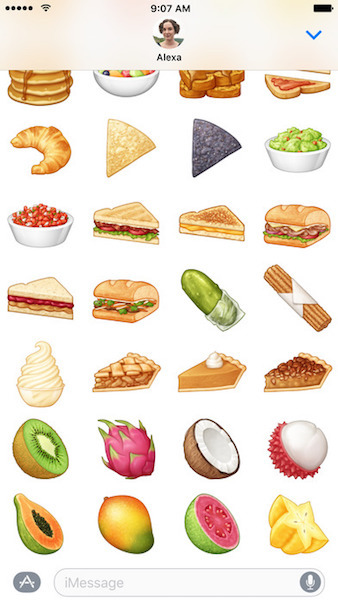 Grab these scrumptious pixels for $4.99 on the App Store. 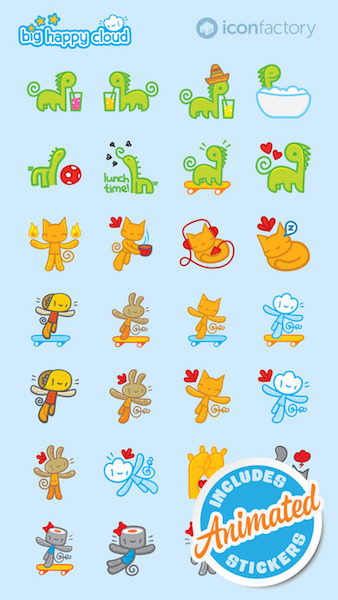 These are the lovingly crafted Cat Animated Stickers by the Taphive brothers, known for their other apps like TodoMovies, Tick, Themeboard, etc. 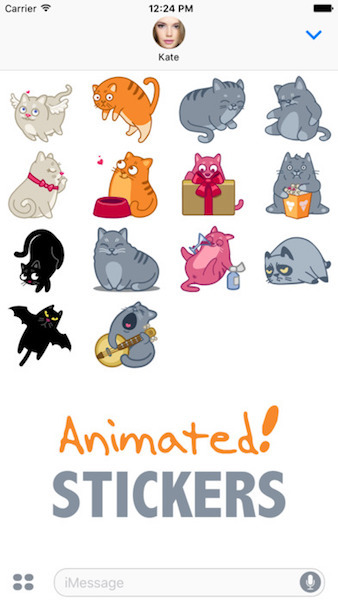 They’ve also released two other sticker packs — Dog Stickers and Troll Stickers, but these animated cat stickers are our favorites. You can grab them for just $1.99 on the App Store. Rad Stickers are available for Free on the App Store and the developer encourage you to donate to a charity if you like these stickers. Another gorgeous sticker pack from the folks at The Iconfactory. Available at just $0.99 on the App Store. Did we miss any? Which ones are you using? Tweet out to us at @beautifulpixels.